Zurchers Party Store (one of three stores that Small Fry basically runs on) is working with us this Summer on bringing some of their beloved party themes to life! 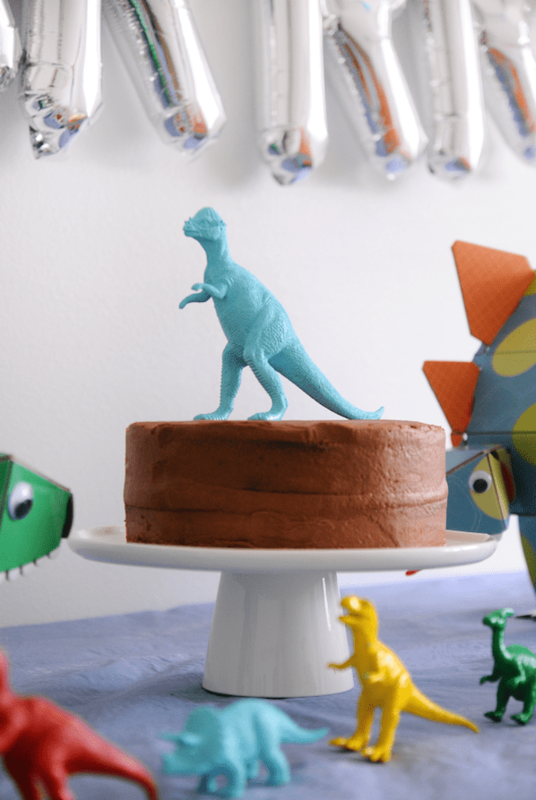 First up, a ROARRR party fit for all your dinosaur lovers! Zurchers has made it super easy to recreate this theme or find products and elements you love from today’s party by housing them all in one place — find them all here! 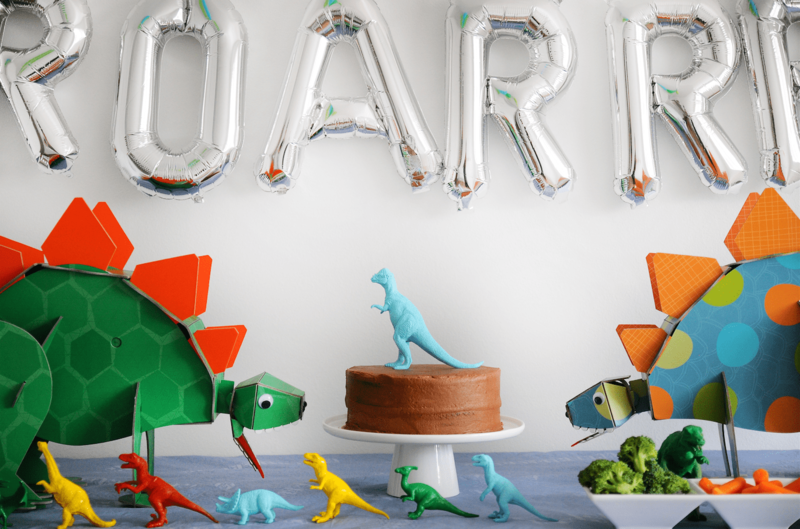 They have this incredible cardboard line of brightly colored dinosaur party accessories from Meri Meri that instantly adds that festive flair. 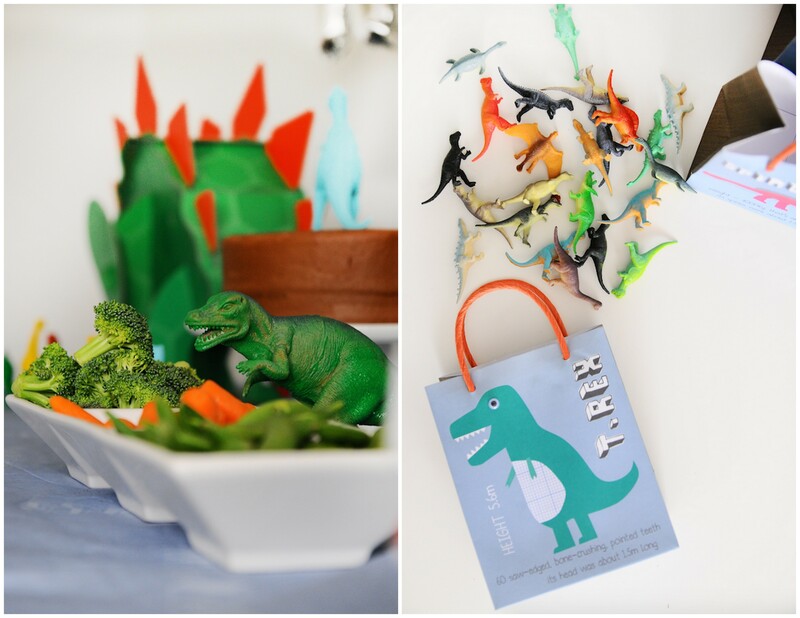 The Dinosaur Cardboard Centerpiece is so rad and looks great even as nursery room decor post-party. 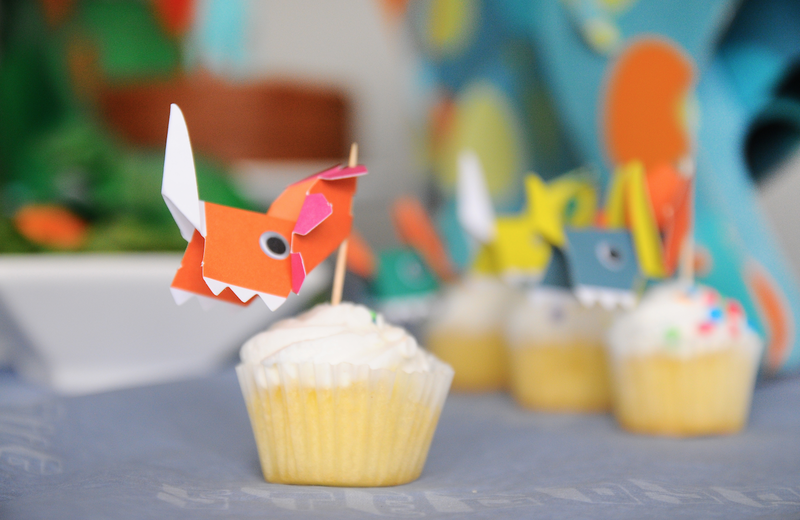 They come with Dino Party Hats seen below: And then of course we whipped some up with their standard party hat, too. 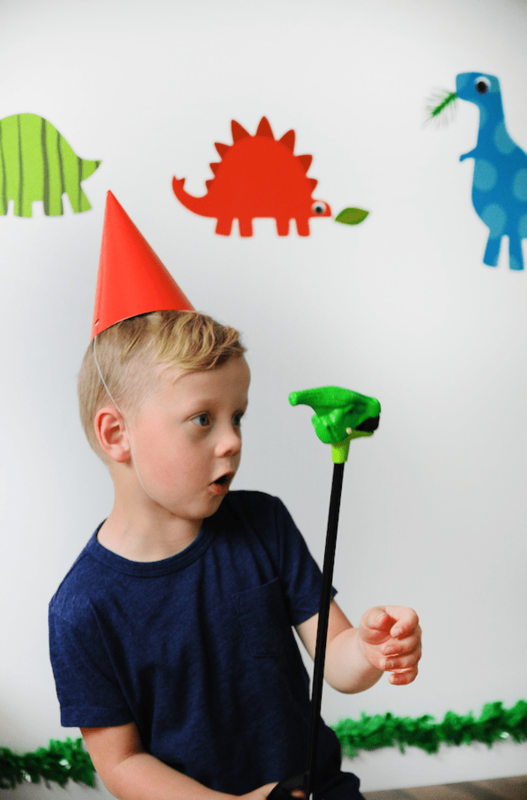 We like the idea of the birthday boy or girl getting a special hat and these razor sharp party toppers are super easy to make! The food is always super important and for this party we decided to go healthy as can be. All in the name of those veggie-sauruses! A party activity that the we and the boys died laughing over was “Eat like a T-Rex!” Slip their arms into the shirt sleeves and watch as they eat their party food with their stubby T-Rex arms. Once they were convinced that dinosaurs eat all manner of leafy greens they didn’t even ask where the donuts were. 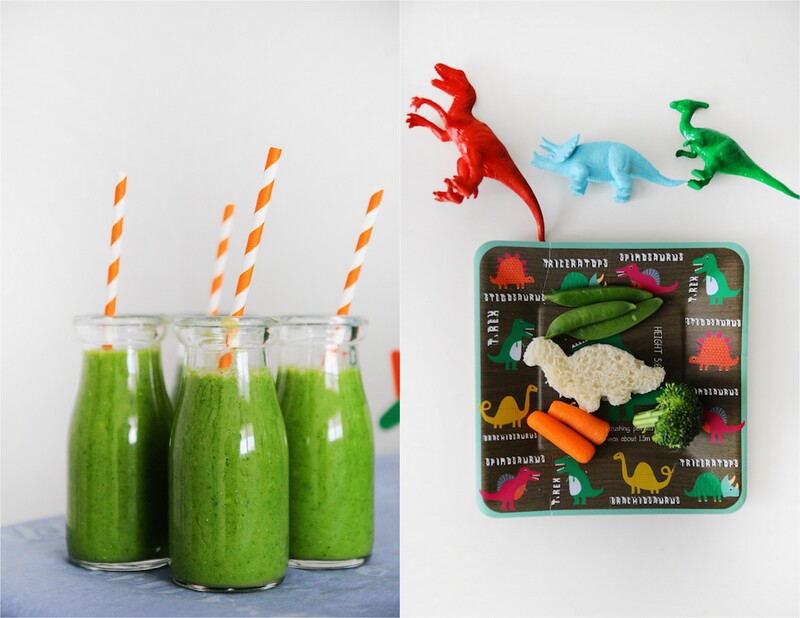 We also had green smoothies (dino juice), easy sandwiches and more veggies! (Milk Jars + Straws // Plastic Dinos + Plates) We didn’t skip ALL sweets though, we had a cake and cupcakes, too! 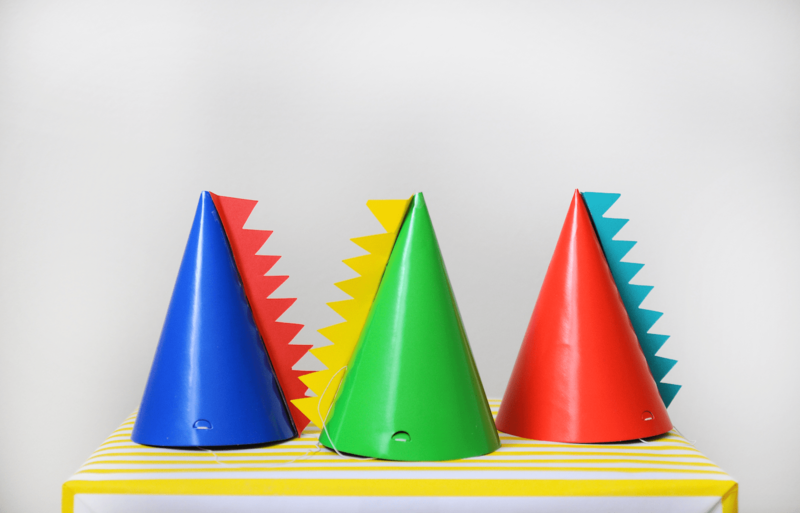 These toppers from the Cupcake Kit match the hats and we love the origami folded paper look! 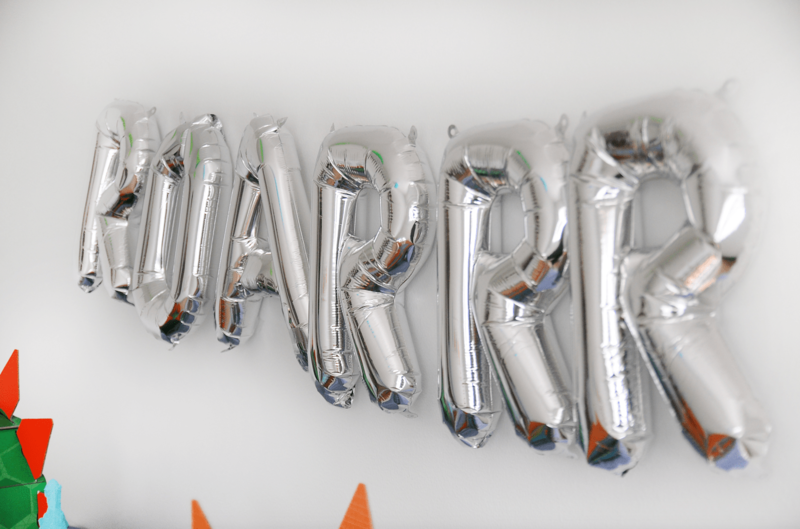 We love that Zurchers carries these mini balloon letters. They have them in several colors and even though they’re crazy inexpensive they’re reusable so you can get quiet a collection going! 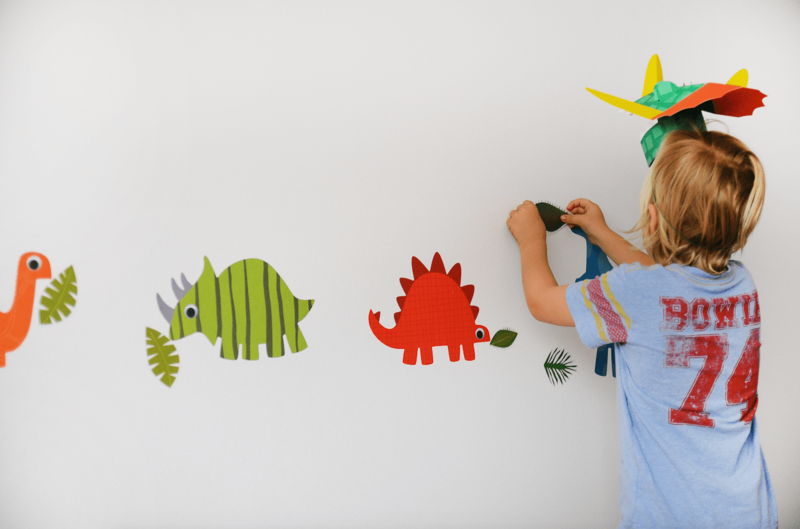 This line also has a ton of wall decals which are great for more color and interest at the party, we turned them into a Feed the Dino (Pin the Tail on the Donkey) game. Another easy party game is to make your own Dino paleontologist style. They have a million party favors so sending each guest home with something ferocious like these Dino Grabbers was a breeze and so fun to pick out! 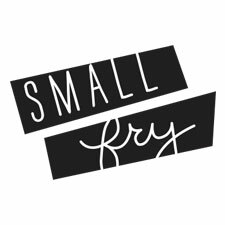 We’re so happy to be recreating these themes with Zurchers and if you have any parties you want to see brought to life Small Fry style, let us know! Roooarrr! This looks so cute and like so much fun. You just wrote an exciting and knowledgeable information on this. I appreciate your thought that make this Dinosaur Game entertaining. Love this – so perfect for little boys! Where did you find the wall decals?